I was always going to love this book. I love novels about art, everything from Joyce Cary’s The Horse’s Mouth, to Michael Frayn’s mischievous Headlong, historical fiction by Tracy Chevalier and Susan Vreeland, and others in this category reviewed on this blog. And this novel, by Aussie expat Dominic Smith, has a special resonance for me because the plot revolves around Dutch art of the 17th century, bringing back memories of the artworks we saw in the Netherlands just last year. (If the name Dominic Smith seems familiar, it’s perhaps because his 2010 novel Bright and Distant Shores, was short-listed for the 2011 Victorian Premier’s Literary Awards, the 2012 Adelaide Festival Awards, and for the the 2011 Age Book of the Year, and then I chased up and reviewed his debut novel The Mercury Visions of Louis Daguerre from 2006). 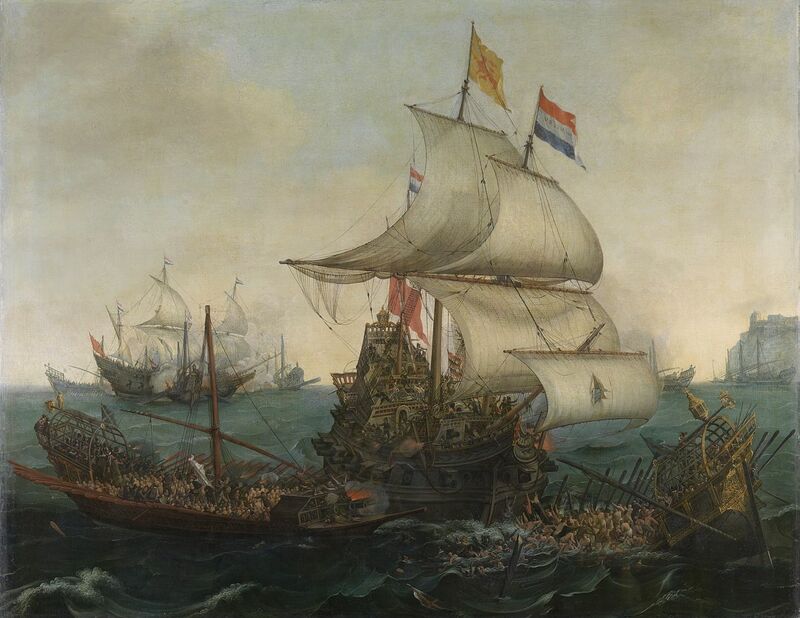 The plot of The Last Painting of Sara de Vos covers three time periods. The novel begins in 1957 with the cunning theft of a Dutch landscape, a painting called ‘At the Edge of a Wood’. It’s a haunting painting, which has been in Marty de Groot‘s family for generations. Although a pragmatic New York lawyer and not a man given to fancies, sometimes Marty thinks the painting is cursed because the ancestors who owned the painting before him all died comparatively young. Perhaps it has brought him bad luck too. Perhaps it was a mistake to hang it over the bed, because his wife Rachel is suffering from depression brought on by their childless marriage. Still, Marty is embarrassed that the forgery that replaced the original hung on his wall for six months before he noticed it. He is angry about the theft and hires a private investigator to get it back. In 2000 a gallery in Sydney is mounting an exhibition in what is the year of the Olympics, and three paintings thought to be by Sarah de Vos turn up from overseas. Ellie, the young women who did the forgery in 1957, is now a Big Noise in Sydney art circles. Her PhD is about Sarah de Vos, and she is called in to identify the third painting, a landscape. But as things turn out, she not only has to deal with the awkward arrival of the duplicate paintings both called ‘At the Edge of a Wood’, she also has to confront Marty, now an old man, who has flown in from New York still determined to have his day. What complicates their reunion is their history: when the PI located Sarah, Marty took matters into his own hands with results that he did not expect. 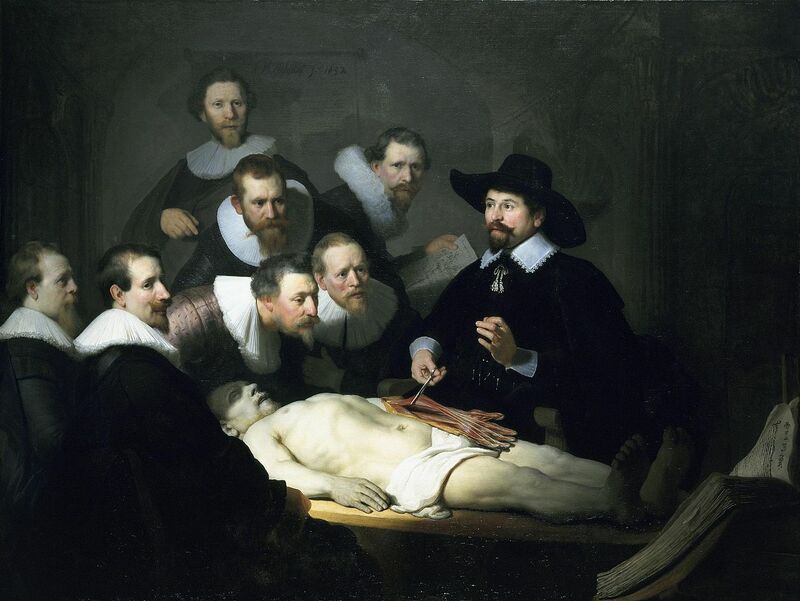 All through this lovely book there are allusions to famous paintings (such as Rembrandt’s The Anatomy Lesson of Dr Nicolaes Tulp which Sara finds herself reluctantly admiring). As I noted with his previous novels, Smith has a gift for descriptive prose. Perhaps because he’s been away from Australia for a while, he is better at depicting New York than Sydney, but his evocation of Dutch interiors and wintry landscapes is superb, bringing to mind the paintings that we have all seen by Vermeer, Rembrandt and others from the Golden Age of Dutch Painting. I don’t think I will be the only reader scouring Google to find images of these paintings! Smith’s central characters are all sympathetically drawn in a novel which offers redemption: Ellie’s backstory of women not being taken seriously in the art world of the 1950s mirrors Sara’s in the 17th century, and the reader will probably withhold judgement on Marty too, despite the aura of undeserved inherited wealth, and his manipulative treatment of the young Ellie. But there’s an interesting theme about the sterility of art as commodity that is mirrored in the childlessness of Marty and Ellie, and the bereavement of Sara. This is very powerfully drawn: I suspect that Smith’s portrayal of the grief-stricken survivors of plague will make many a reader pause to reflect on the fragility of life in times not so very long ago, evoking similar emotions as do the vanitas paintings of the period. 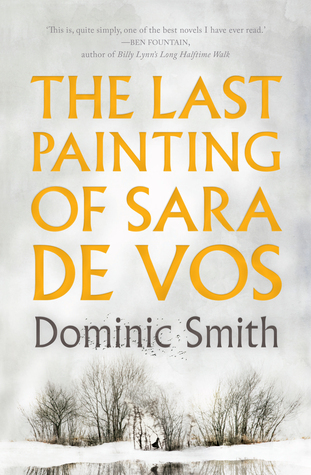 Available from Fishpond: The Last Painting of Sara De Vos and good bookshops everywhere. I do like the sound of this. I recently read Ali Smith’s How to be Both, partly about a 15th century Italian painter who Smith recasts as a woman for the purposes of her book, also looking to a certain extent at the place of woman artists in the past. You know, I borrowed that from the library and just could not get into it. It must just have been the wrong time for me, because that is definitely on my list of books I think I’ll love. Oh, you beat me to it. I read this book a fortnight ago but been too busy to review. I’ll come back and read your review after I’ve written mine. Like you, I love novels about the intersection of art and fiction. From Virginia Woolf’s _To the Lighthouse_ to _The Girl With the Pearl Earring_ and Iris Murdoch’s _The Sandcastle_. Stories about characters who encounter, create, and collect paintings make such great fiction. I look forward to reading this one. I loved everything about this novel. Excellent review, Lisa! Thanks, Amanda. My only disappointment is that the painting doesn’t actually exist so I can’t go and see it!